SharePoint Online document libraries are now available in canvas apps. 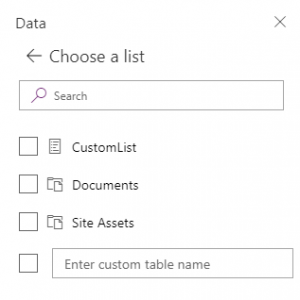 Document libraries show up from the data sources panel when you select a SharePoint Online list as a data source. You can create experiences for your end users to view a listing of files that come from a SharePoint document library. Document libraries have a unique icon so you can quickly discover and select them from the data source list.